‘Pee-Wee’s Big Holiday’ Lands At Netflix Exclusively! It’s been 30 years since we first saw Pee-Wee on the big screen in ‘Pee-Wee’s Big Adventure‘, which was Tim Burton’s first feature film he directed. And we’ve been reporting for some time now that Paul Reubens (Pee-Wee) has been developing a couple of new feature films with Judd Apatow (‘Knocked Up‘). And that is correct. The bowtie is back. But it’s been back for a few years now, ever since Pee-Wee made his Broadway debut to sold out crowds in New York, then again across the nation. HBO even aired his special. “We didn’t hesitate for a moment knowing that Pee-wee’s Big Holiday was such a passion project for Paul and Judd and we are delighted by the opportunity to introduce such a beloved character to a new generation,” said Netflix Chief Content Officer Ted Sarandos. Paul Reubens and Paul Rust (‘Arrested Development‘) have penned the script together with first time director John Lee (Inside Amy Schumer) taking the directing reigns. So what’s the movie about? All we know is that Pee-wee meets someone mysterious, which encourages him to take his first vacation ever. Where will he go, what will he do, who will show up, and what adventures will he get into? Only time will tell, but Paul Reubens did post an image on his Twitter page of a resort in Chile of the world’s largest swimming pool. Maybe he’ll be there. 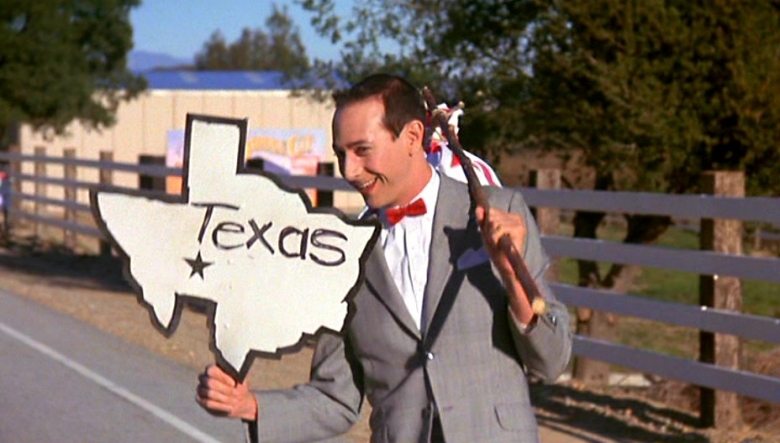 The New ‘Pee-Wee Herman’ Movie Is Happening!!! ‘Pee-wee’s Big Holiday’ Nabs Joe Manganiello!!! 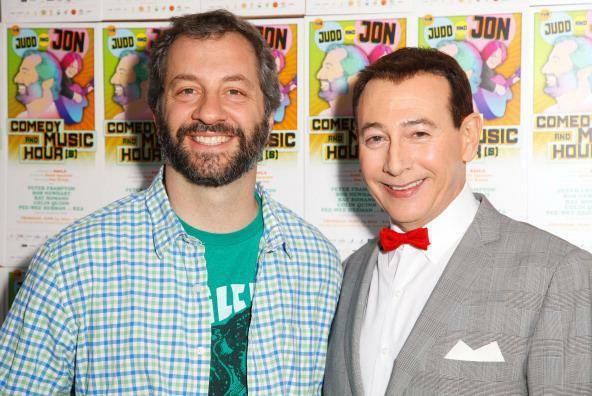 Pee-wee’s Bringing The Ridiculous Back With New Movie For Netflix!!! This entry was posted on Tuesday, February 24th, 2015 at 10:27 am	and is filed under Film, News. You can follow any responses to this entry through the RSS 2.0 feed. You can skip to the end and leave a response. Pinging is currently not allowed. « Nicolas Cage Attaches To Oliver Stone’s Edward Snowden Thriller!!! You know, our bodies are capable of doing some very funny things when they're consumed by stress and anxiety. Uh, I found my ex-best friend's cufflinks in my wife's purse. I couldn't get an erection for a year and a half. For example.